Parents can usually remember the day their child’s behavior changed. PANS/PANDAS is characterized by an abrupt onset of obsessive-compulsive disorders and/or tics. PANDAS is a clinical diagnosis based on 5 distinct criteria as developed by the NIMH and listed below. 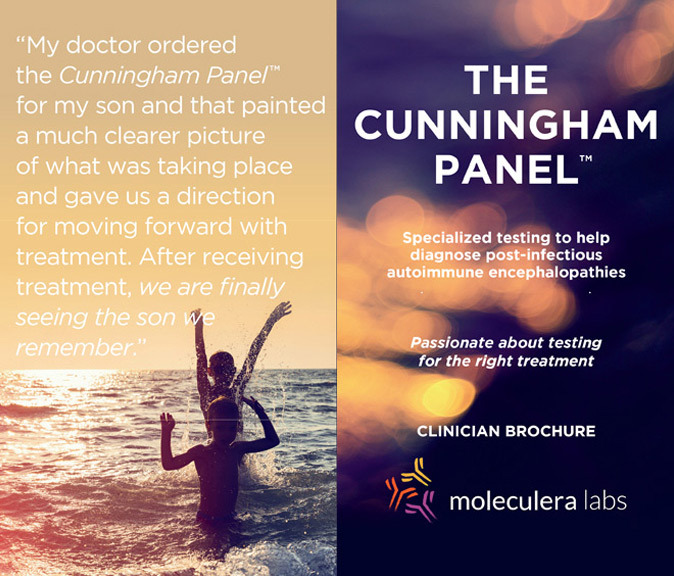 Currently there are no definitive diagnostic laboratory tests for PANDAS, but the Cunningham Panel™ is the first and only test that was developed specifically as an aid to doctors in making their diagnosis. 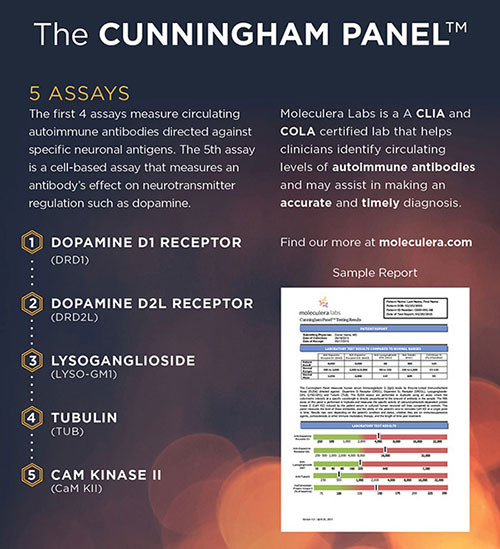 This test panel, which includes 5 assays, identifies a patient’s specific antibody levels directed against certain neurologic proteins and the antibody’s capability of triggering and stimulating elevated neurotransmitter production in brain cells. A detailed review of the diagnostic guidelines for PANS and PANDAS is available on the PANDAS Physicians Network.